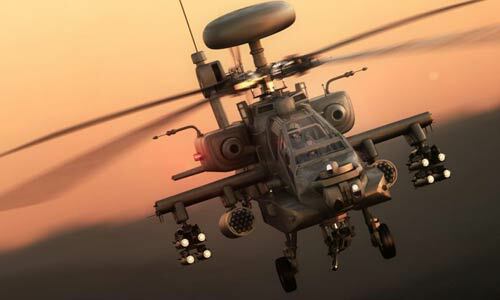 Highly placed sources in the Army told Mail Today that the combat helicopters for its aviation wing will enhance the firepower of its strike forces along the borders with China and Pakistan. The Indian Army is planning to pitch for acquiring a fleet of lethal Apache attack helicopters in a key meeting with Defence Minister Arun Jailtley scheduled this weekend. Aggressive air support is crucial for advancing ground troops in a short-term strike. "The Army wants the latest version of the American Apache 64D attack choppers from the US through the Foreign Military Sales case for its aviation arm," the sources said. The Army seeks to buy 39 units at a cost of more than Rs 12,000 crore. If the procurement gets the ministry's approval, it will make the Army one of the biggest operators of these choppers in the country; the Air Force recently finalised a contract for 22 of these flying machines. The Army has been in a bitter tug of war with the Air Force over the control of attack helicopters for it feels that its own personnel flying the choppers would be in a better position to help ground forces during a conflict because they understand land warfare better than the Air Force personnel.